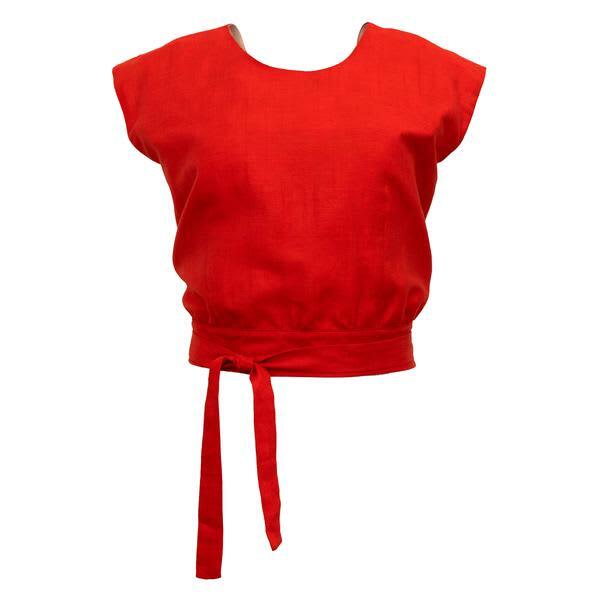 This La Paz top from Corvera Vargas is a classic C/V style cropped to the waist with an open back and capped sleeves. Belt can be tied at the front or back. More suitable for smaller chest size. Comes in red colourway. Made in Poland.